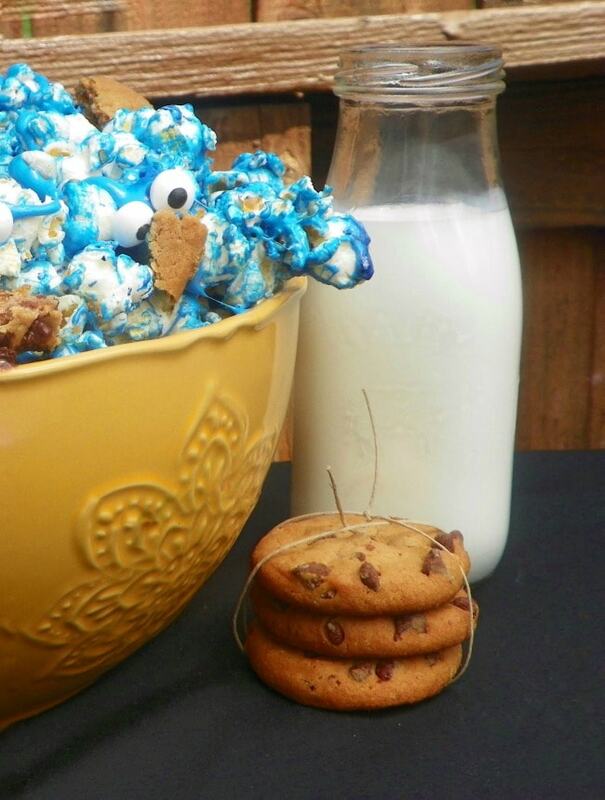 Cookie Monster Popcorn Recipe – Fun & Frugal Idea for a Party! 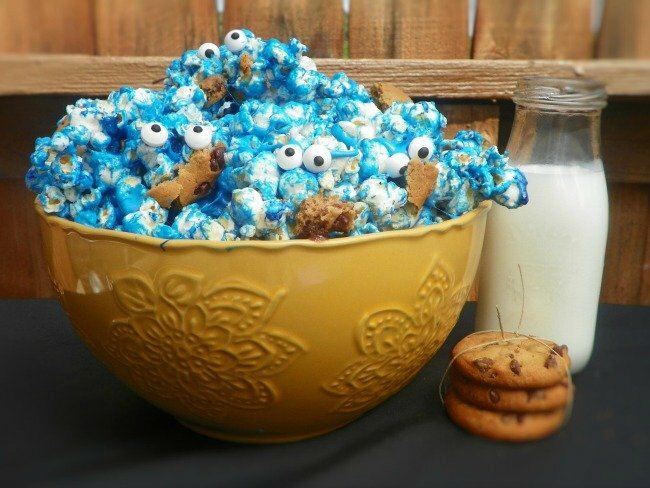 Here is a simple idea for a fun snack for a kids party or any kind of get together where folks like popcorn and cookies! Its easy to put together, frugal to make, but is a fun treat that the kids will love. 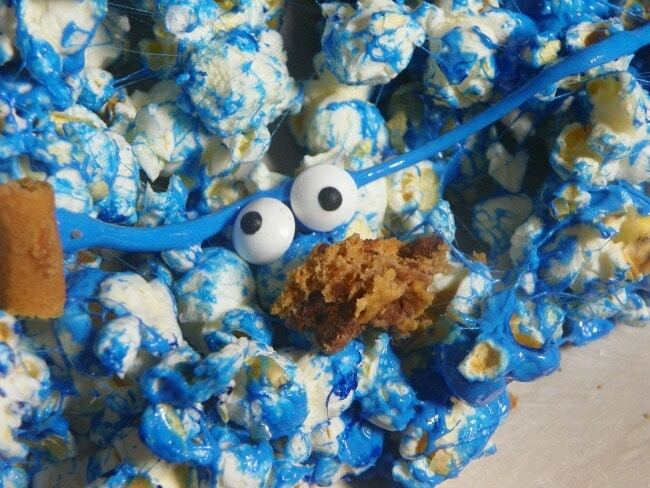 Simply by making a batch of popcorn blue, and adding some cookies and googly eyes, it transforms it from ordinary popcorn to party worthy cookie monster popcorn. That and I love the combination of sweet and salty tastes, and all things popcorn. 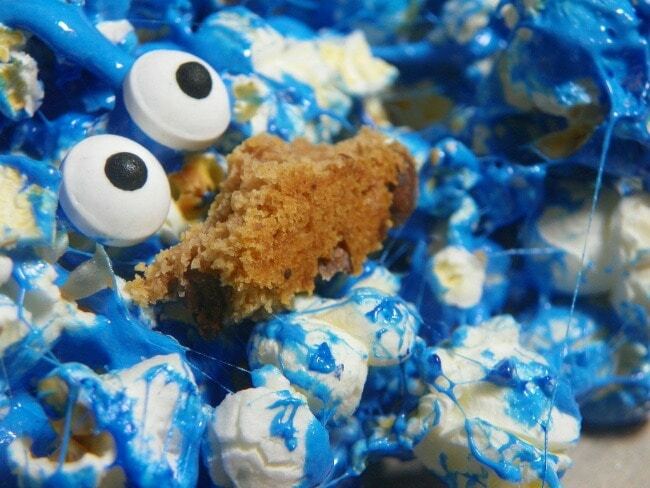 This recipe uses marshmellows and some blue food coloring to make the blue popcorn look. That also gives this recipe the taste of good old fashioned popcorn balls too, and who does not love a good popcorn ball. 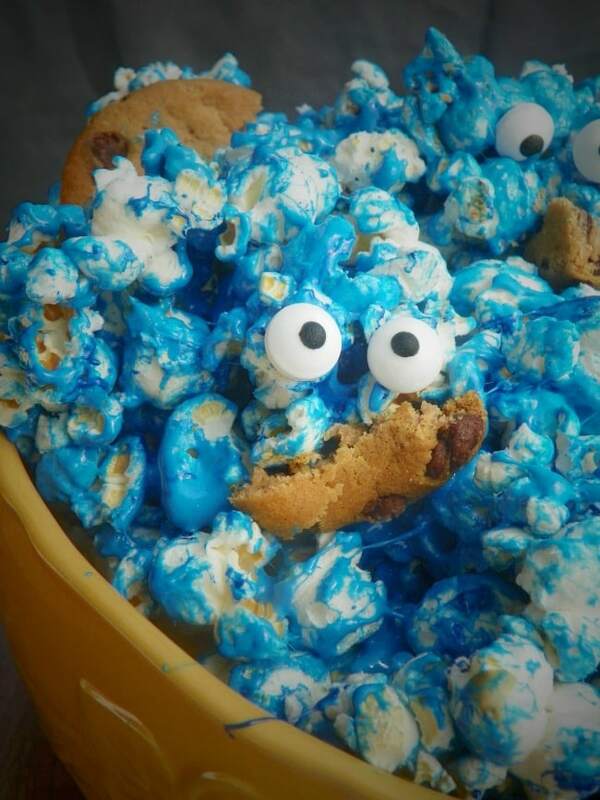 Break up some premade cookies, or bake your own and toss in with the other ingredients to give it that cookie monster effect. You can pick up the candy googly eyes in the baking ingredients isle of many stores. They are completely edible. 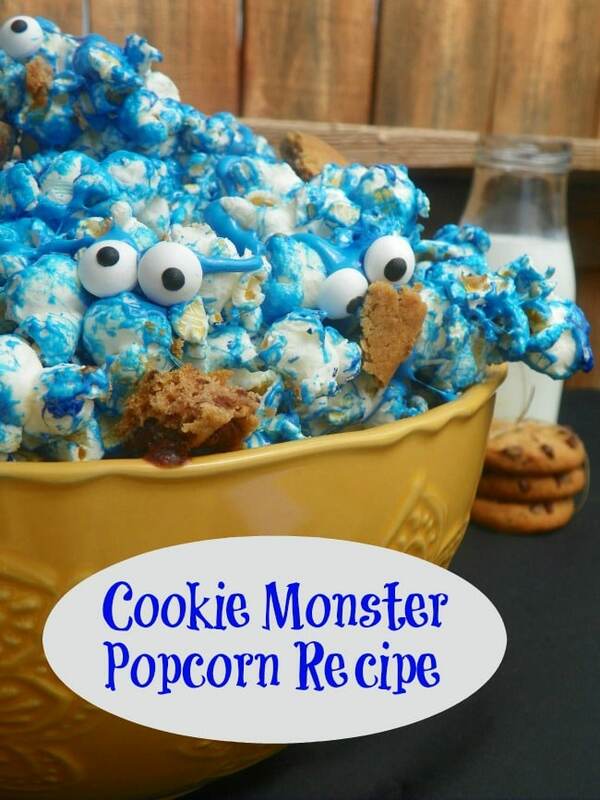 Mix it all together, and magically it has the appearance of cookie monster fun! Add a scoop and small plates for the kids to dish up their own snack. You can also get popcorn bags at the store and they could fill those if you rather. Serve with some milk and the kids will love this treat. Be sure to also check out more tips on how to use a popcorn bar to create a fun party on a budget here. Parties for Less: How to Plan a Party on a Budget + FREE Party Planning Worksheet! 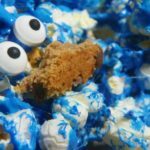 Cookie Monster Popcorn – Fun & Frugal Idea for a Party! Here is a simple and affordable recipe for any kids party, that is sure to impress. In a sauce pan, melt the butter on medium heat. Turn off heat and add blue food color to marshmallow mixture. Pour coated popcorn on a baking sheet, sprayed with nonstick spray. You can make this a day ahead to keep things simple too. Just store in an air tight container.